National Football League (NFL) commentator John Madden famously crisscrossed the United States for years in a custom coach bus so that he could make it to games and other commitments without having to board a plane. The former head coach of the Oakland Raiders and Pro Football Hall of Famer’s aversion to flying also led him to decline the opportunity to call the NFL’s annual Pro Bowl in Hawaii. Madden is hardly alone in his avoidance of air travel. Research indicates that up to 40 percent of the general population experiences flight-related anxiety. One of the things that makes aviophobia, or fear of flying, so common is that the average person just doesn’t do it that often, says Stephnie Thomas, an American Counseling Association member and licensed clinical professional counselor at the Anxiety and Stress Disorders Institute of Maryland. Assuring clients that a fear of flying is relatively common can lessen the sense of shame or embarrassment that they might feel about it, Thomas says. 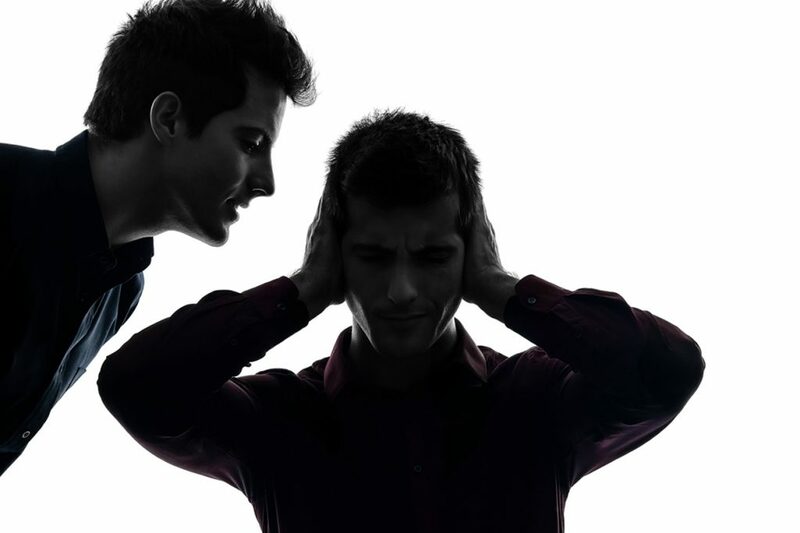 This plays an important first step in addressing the issue with a counselor. 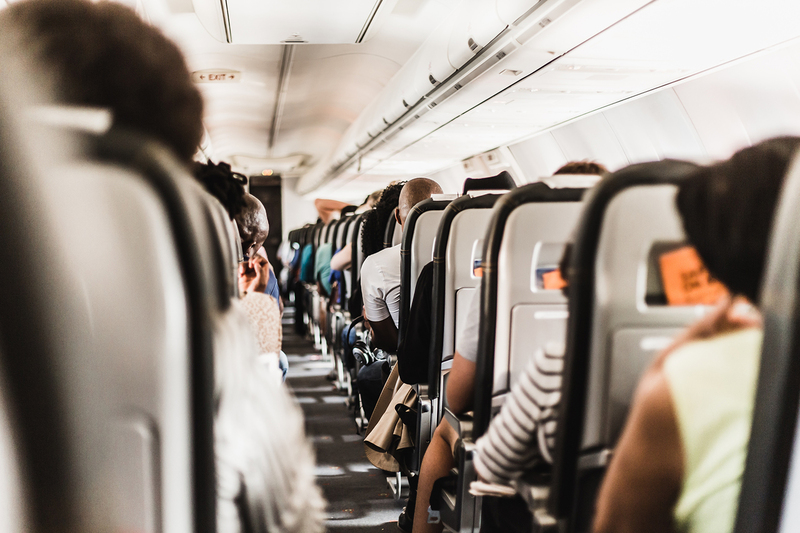 For most people, Thomas says, the fear of flying is rooted in loss of control — of their surroundings, of navigation, of travel schedules and of their own bodies (some people experience panic-related symptoms such as heavy breathing, sweating or vomiting). 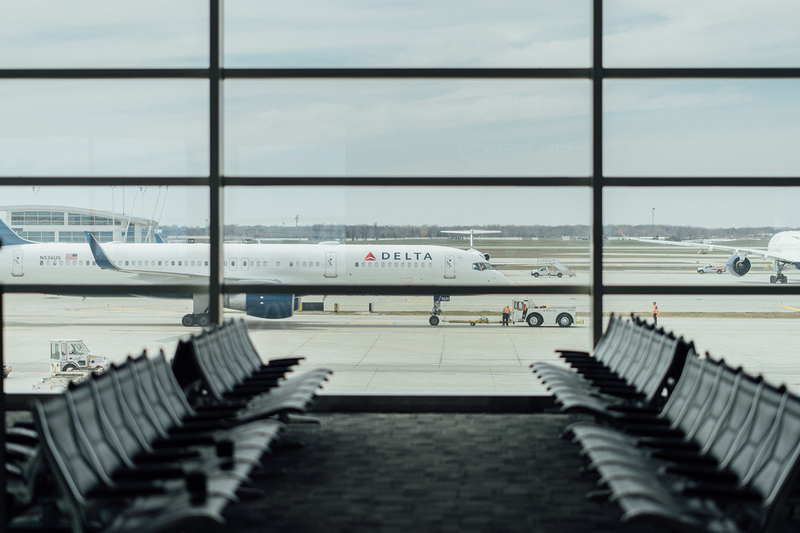 Thomas works with clients to find ways to tolerate the distress and anxiety they feel regarding air travel rather than trying to avoid or make those feelings disappear altogether. She explains that if they work through their anxiety, it will lessen naturally over time. “The goal is not a reduction of their anxiety. The goal is to learn tolerance, which is really hard. I always tell clients that I wouldn’t wish this on my worst enemy,” says Thomas, who has a private counseling practice in Westminster, Maryland. In Thomas’ experience, fear of flying is rarely a stand-alone issue. Careful assessment is essential with these clients, she stresses, because their phobia can be tied to other issues that need therapeutic attention, such as obsessive-compulsive disorder, panic attacks or posttraumatic stress disorder. It can also dovetail with other anxieties, such as a fear of enclosed spaces or germs — for example, obsessing over disinfecting their armrests and tray tables on the airplane. “The clients who only have a fear of dying in a plane crash are few and far between, even though this is a common reason many give for avoiding flying,” Thomas says. In her work at the Anxiety and Stress Disorders Institute of Maryland, Thomas flies with aviophobia clients as part of their therapy program. Boarding a plane, however, is a final step in a thorough process that begins with traditional talk therapy. She uses cognitive behavior therapy from an acceptance and commitment therapy perspective, in addition to exposure therapy and other techniques. Lessening the anxiety symptoms that clients experience when flying is a byproduct of therapy, not a goal, Thomas emphasizes. She works with clients to accept the feelings that come with flying and to deflect catastrophic thoughts. It can also be helpful for clients to focus on their reasons for boarding an airplane. Some of Thomas’ clients want to overcome their aviophobia because they are required to fly for work and their career depends on it. For others, an airplane flight stands between them and a vacation that they’ve wanted to take for a long time, a family visit, a wedding or another important event. Thomas had one client whose dream was to go to Europe to visit the country of his ancestry. Eventually, he was able to make that flight and sent Thomas a postcard to commemorate the achievement. A key aspect of overcoming aviophobia is breaking things into small pieces — both with the therapeutic preparation and with the coping mechanisms on the day of the flight, Thomas says. For instance, when clients are ready to fly, it can be helpful for them to focus only on the next bite-sized task: checking in, getting through security, finding their gate, etc. They aren’t allowed to worry about what happens in steps three or four while they’re still on step two, Thomas emphasizes. To help her clients prepare, Thomas works with them to imagine, visualize and become accustomed to what getting on a plane involves. Videos on YouTube are one helpful tool. Thomas often watches footage taken midflight with clients so they can get used to the sights and sounds of an airplane. There is even a six-hour video on YouTube of an entire flight from the East Coast to the West Coast of the United States, Thomas says. One of her clients would put the video on his television at home, playing it in the background to expose himself to the idea of flying. Thomas also assigns homework that will expose her aviophobia clients to some of the uncomfortable sensations they might experience on a flight. For example, individuals who don’t like feeling the G-force of takeoff could be tasked with going to a local amusement park to get more accustomed to the sensation. She would have them start with a smaller, more tame ride and work up to the bigger roller coasters, Thomas says. For those who are afraid of being away from home, she might suggest that they ride the subway system around Washington, D.C., or take a small day trip, such as a bus trip to New York City. Similarly, those who are afraid of heights or small spaces can expose themselves, little by little, to diffuse the fear while they are close to home, such as going to the top of a tall building or riding an elevator. Thomas also works with clients to internalize the concept that although flying is a risk, it is an acceptable risk. Her clients often create notecards reminding them of this and bring the cards with them when they fly. She often repeats a saying from psychologist David Carbonell, author of the Fear of Flying Workbook: Overcome Your Anticipatory Anxiety and Develop Skills for Flying With Confidence: “As an airline passenger, your only job is to be breathing baggage.” You simply have to stay in one place and be transported from point A to point B, she says. “Since loss of control is the underlying fear for most clients, this is a tough idea,” Thomas adds. After years of specializing in this area, Thomas has developed a relationship with representatives of Southwest Airlines at the nearby Baltimore/Washington International Airport. Occasionally, she coordinates with the airline to bring groups of clients to the airport to sit in an unused airplane, talk with airline employees and try out a mock boarding process. She has also organized events at her office at which Southwest pilots or employees come to speak and answer questions. Thomas doesn’t require her aviophobia clients to take a flight with her. But many find it helpful to have her accompany them as they take a first “practice” flight after seeking therapy. Once a client is ready, they schedule a flight together that leaves and returns to the Baltimore airport in the same day. They choose destinations roughly a one-hour flight away that feature something fun and relaxing to do, such as the museum at the Rhode Island School of Design in Providence or the Rock & Roll Hall of Fame in Cleveland. After completing that first flight with Thomas, she advises them to book or start planning their next flight right away — this time on their own or with loved ones. The desired treatment outcome, she says, is for clients to be able to fly regularly and to tolerate the uncomfortable feelings that may come with that experience. 1) Flying is an acceptable risk. Remember that the statistics are in your favor. 2) Move with the turbulence. Rate it on a 1-10 scale. 3) Notice when you’re anticipating the worst-case scenario. 5) Notice when you add a second fear. 6) Be willing to accept panic when it happens. 7) Practice allowing your physiological symptoms to get stronger. 8) Mindfully let yourself be in the plane (or wherever you are physically located). 9) Practice relaxation and mindfulness coping skills before you fly. 12) Book your next flight before the practice flight is completed. Contact Stephnie Thomas at stephniet@gmail.com or through her website, stephthomas.com. Anxiety disorders are the most common mental illness in the United States, affecting 18 percent of the adult population, or more than 40 million people, according to the National Institutes of Health. Among adolescents the prevalence is even higher: 25 percent of youth ages 13 to 18 live with some type of anxiety disorder. Anxiety disorders are often coupled with sleeplessness, depression, panic attacks, racing thoughts, headaches or other physical issues. 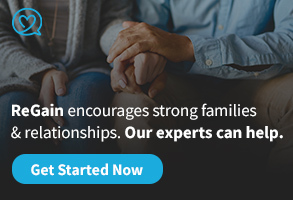 Anxiety can run in families and be a lifelong challenge that spills over into all facets of life, from relationships and parenting to the workplace. The good news is that anxiety disorders are manageable, and counselors have a plethora of tools to help clients lessen the impact of anxiety. Caitlyn McKinzie Bennett, a licensed mental health counselor, says she regularly talks this through with her clients at her private practice in Orlando, Florida. She often uses an analogy of ocean waves with clients: Anxiety comes in waves, and managing the disorder means learning coping tools and strategies to help surf those waves rather than expecting the waves to disappear entirely. Everyone experiences anxiety from time to time, such as worry over an upcoming work responsibility, school exam or first date. Anxiety disorders, however, are marked by worry and racing thoughts that become debilitating and interfere with everyday functioning. 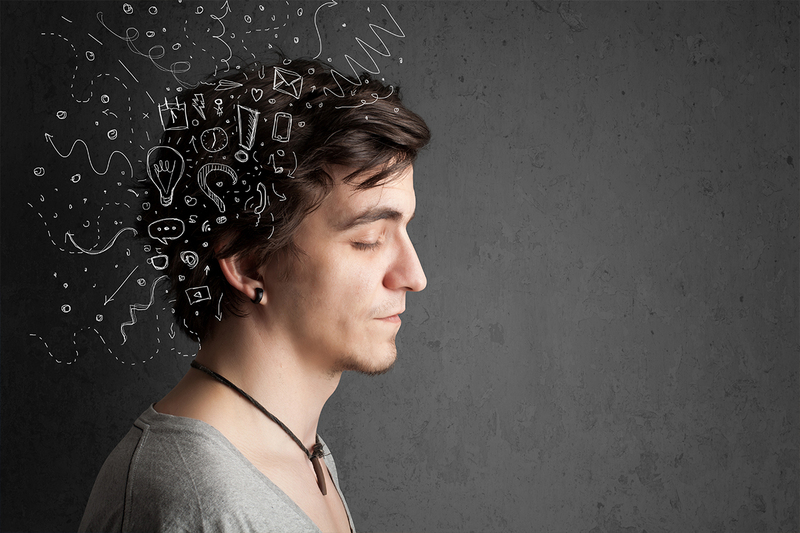 Racing thoughts, rumination and overthinking possibilities — from social interactions to decision-making — are central to anxiety. In addition, people with anxiety often struggle with insomnia or sleeplessness and physical symptoms such as a racing heart, sweaty palms and headaches, says Bennett, an American Counseling Association member who is currently leading a study for her doctoral dissertation on the effects of neurofeedback training on college students with anxiety. Adolescents sometimes turn to self-harming behaviors such as cutting or hair pulling to cope with anxiety. In adults and adolescents, anxiety can manifest in physiological issues such as stomachaches or irritable bowel syndrome. Although adults may channel their anxiety into physical problems, they’re also generally much more capable than adolescents and children of identifying and articulating the anxious thoughts, ruminations and social struggles that they’re facing, Bennett says. Bennett worked with a 14-year-old female client whose anxiety had manifested as the behaviors of obsessive-compulsive disorder (OCD), including avoiding the number six, leaving her closet door open a certain way and struggling with crossing thresholds. 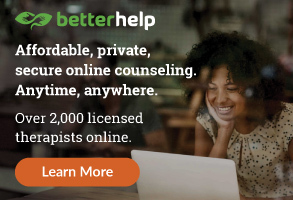 Bennett worked with the client to identify her triggers and find coping mechanisms, such as connecting with friends and her Christian faith. Bennett worked with the young client to confront her fears in small doses through exposure therapy, such as listening to a song at volume level six and talking through how she felt afterward. This method allowed Bennett to first address the client’s OCD behaviors and then — once trust was built and the client had progressed — move on to work through the bigger, deeper issue of her fear of her mother’s death. 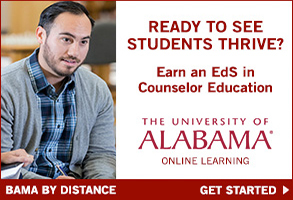 Christopher Pisarik is an associate professor in the Division of Academic Enhancement at the University of Georgia and a licensed professional counselor (LPC) who works with students in need of academic support. He says that stress and irregular sleep and eating patterns — which are often ubiquitous parts of college life — can go hand in hand with anxiety. In addition, anxiety is often coupled with — or is an outgrowth of — other mental illnesses, most commonly depression. Counselors will need to treat a client’s anxiety alongside other diagnoses, Bennett says. For example, a client with schizophrenia will have hallucinations that provoke extreme anxiety. If the counselor doesn’t address the client’s anxiety, those symptoms will get worse, explains Bennett. Stephanie Kuhn, an ACA member and LPC at the Anxiety Treatment Center of Greater Chicago, agrees. She regularly sees client anxiety paired with other issues such as specific phobias, insomnia, chronic pain issues, depression, panic disorders and OCD. The first step for many people who struggle with anxiety is to create awareness of their thoughts and then learn to manage those thoughts with a counselor’s help. Although the strategy of identifying negative self-talk and addressing one’s thoughts is old hat to most counselors, it may be an entirely new concept for some people, especially younger clients, says Pisarik, an ACA member who uses cognitive behavior therapy (CBT) in his private practice. Clients with anxiety often polarize, exaggerate or catastrophize details in their minds as they ruminate over them, he explains. Following the CBT approach, Pisarik says he would talk such clients through their thought patterns to identify and restructure their negative thoughts about the exam. He would also suggest that they focus on and remind themselves of prior successes, such as other exams or classes in which they earned A’s and B’s. “It takes a consistent effort to practice and challenge one’s thinking,” adds Pisarik, who co-authored the article “A Phenomenological Study of Career Anxiety Among College Students.” The article will be published in the December issue of The Career Development Quarterly, the journal of the National Career Development Association, a division of ACA. Both Pisarik and Kuhn encourage their clients to keep thought logs to track anxious thoughts and the situations that triggered them. This exercise increases self-awareness, helps identify triggers and creates an opportunity to discuss how the client might change the negative narrative. In addition to using thought logs, Pisarik gives his clients a list of automatic negative thoughts, or ANTs, to check themselves against. The collection lists the most common types of unhealthy, anxious thoughts and types of thinking, including catastrophizing and either-or thinking (polarizing). Exposure therapy, which introduces things in small, controlled increments in session that make a client anxious, is another good way to focus on handling anxiety, Kuhn adds. Whether the scenario is a fear of speaking up in class or a fear of being rejected by a loved one, exposure therapy can help clients learn to live with the issue and the anxious feelings that come with it. “When I talk to people about ‘handling it,’ it’s creating that awareness and understanding [of] themselves that they’re able to manage or take on more than they think they can,” Kuhn says. “Anxiety a lot of the time makes us believe that we can’t handle the tiniest things. That’s why our body has created or learned how to respond to things in an overactive or hypersensitive way.” This is most commonly experienced in our fight-or-flight response, she says. From CBT and mindfulness to a focus on wellness and coping strategies, professional counselors have a wide range of tools to help clients who struggle with anxiety. Here are some ideas and techniques that can be particularly useful. Kuhn often uses an exercise with clients in which she draws a target with concentric circles. Things that clients can control, such as their own thoughts and behaviors, go in the center circle. Things that they partially control, such as their emotions or what they focus on sometimes, go in the middle ring. Things that are out of their control, such as what other people think or do, go in the outside circle. In a simpler alternative, Kuhn draws a center line down a piece of paper and works with clients to list what is and isn’t in their control in situations that make them anxious. > Acknowledging and naming worry. Journaling and making lists to document anxious thoughts can help clients address and reframe the everyday rumination that accompanies anxiety. 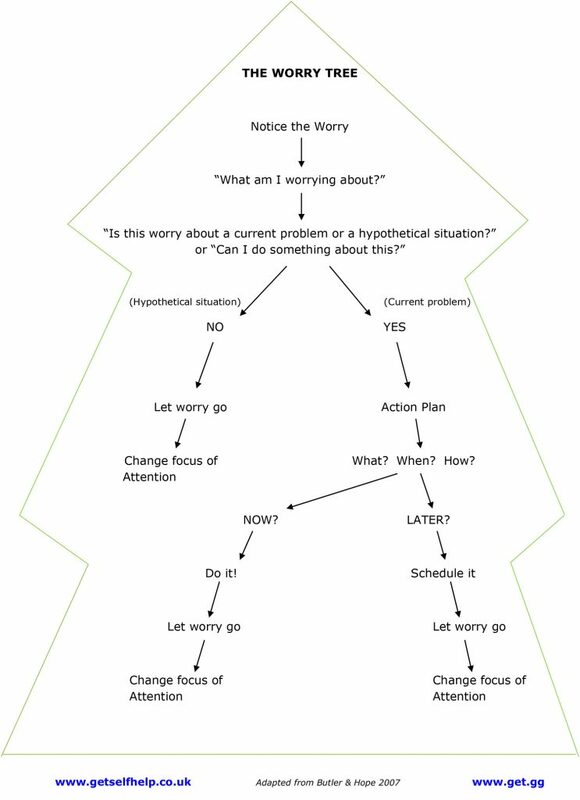 Kuhn offers two variations on this intervention: worry time and the worry tree. With “worry time,” clients set aside a dedicated amount of time (Kuhn suggests 30 minutes) every day to write down any anxious thoughts that are troubling them. Clients don’t need to engage in long-form writing to complete this exercise, Kuhn says. Making a bulleted list or jotting thoughts down on sticky notes will work just as well. When the designated time is up, clients put all the notes in a box or container that they have set aside for this purpose. This action signifies that they are leaving those thoughts behind and can move on with the day. > The butterfly hug. Beth Patterson, an ACA member and LPC with a private practice in Denver, teaches deep breathing exercises to anxious clients to help them become grounded, focusing on the flow of energy through the body. She also recommends the “butterfly hug” technique. With this technique, clients cross their arms across their chests, just below the collarbone, with both feet planted firmly on the floor. > Walk it out. Along with deep breathing and grounding, Patterson also recommends walking and movement for clients who are feeling anxious. She instructs clients to focus on the feeling of each foot hitting the ground instead of their anxious thoughts. As with the butterfly hug, this action creates bilateral stimulation, Patterson notes. Bennett also uses walking as a way to help clients refocus their thoughts. She will take clients out of the office during a session for a “mindful walk” up and down the block. During the walk, they talk about what they’re sensing, from the sunshine to the breeze to the smell of flowers. Bennett says this allows her to work with clients “in the moment,” recognizing and refocusing anxious thoughts as they come. Afterward, they process and talk through the experience back in the office. > This is not that. Clients commonly transfer anxiety-provoking personal issues onto relationships or situations in other facets of life, including the workplace, Patterson says. For example, Patterson worked with a client who had a very domineering, controlling mother, and this client felt triggered by a female boss in her workplace. Patterson introduced the client to the mantra “this is not that,” and they worked on reframing the anxiety the client experienced when she felt her boss was being controlling. Similarly, he commonly advises anxious students to avoid waiting outside the room where they’re about to take a big exam, surrounded by 30 classmates who might be saying that they are going to fail, they didn’t study enough, they don’t feel prepared and so on. Counselors can coach anxious clients to think ahead and prepare ways to remove themselves from these types of situations, regroup and redirect their thinking, Pisarik says. > Lifestyle choices. Counselors can also educate clients on the connection between anxiety and lifestyle choices such as sleep patterns, exercise and diet, Pisarik says. For young clients especially, this also includes social media use, he notes. For Bennett, conversations with clients about lifestyle also include questions about smoking and caffeine use. Both tobacco and caffeine can make a person shaky or make his or her heart and mind race, which can trigger or exacerbate anxiety, she points out. In addition to social media use, Pisarik also asks clients about their social engagement, such as participating in sports or other hobbies. Clients who struggle with anxiety often isolate themselves, he notes, so he works with them to identify social outlets, from volunteering to joining a school club. This sense of connection can reduce anxiety, he says. Counselors can also help clients with anxiety to focus on a time in their lives when they faced a similar challenge and got through it, Patterson says. She asks clients questions to help them probe deeper. For example: How did you handle that challenge? What worked, and what didn’t work? Anti-anxiety medications are commonly prescribed in the United States. Their prevalence means that counselors are likely to encounter clients who are taking medication to control their anxiety symptoms. Regardless of their feelings about the use of psychotropic medications, practitioners must treat and support clients who are taking such medications the same as they would any other client, Kuhn says. “I never treat someone differently based on their medication. 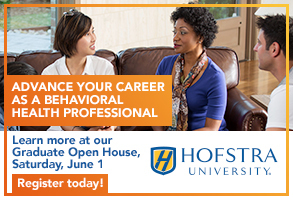 They get the same CBT therapy that anyone else would get,” she says, adding that the most important thing is to ensure that clients don’t feel judged by the counselor. Kuhn has seen anti-anxiety medications work well for some clients. “It can take that little edge off that they need to get through the day and be able to function,” she says. At the same time, she also has clients who express a desire to be able to stop taking their medication eventually. Pisarik notes that for anti-anxiety medication to work well, clients must remember to take it faithfully, keep track of how it makes them feel and schedule the repeated appointments needed to monitor and adjust dosage levels. Each of these elements can pose a challenge to college-age clients. “It’s a lot of work, and [college students] often lack the discipline and time to get it right,” Pisarik says. Bennett agrees, suggesting that even though professional counselors are not the ones prescribing medications, they still need to discuss and explore medication use with their clients. She also stresses that practitioners should be knowledgeable about the different kinds of medications that clients may be taking and their possible side effects. Given how common anxiety disorders are, it’s likely that any counselor’s caseload will be filled with clients presenting with symptoms of anxiety. 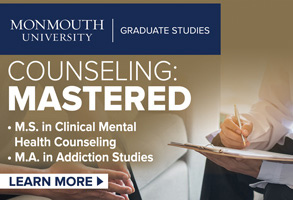 It is important, however, for counselors to treat each client as an individual and to tailor the therapeutic approach to meet that client’s unique needs, Bennett emphasizes. Building trust and a healthy therapeutic relationship are key in treating anxiety because clients can feel very vulnerable as they talk about what makes them anxious, Bennett points out. That is why it is critical to get to know these clients as individuals rather than through the lens of their anxiety. T onight, 5-year-old Jonathan is a fretful, whiney and downright irritable child, and with good reason. He is sneezing, running a low-grade fever and has a runny nose, symptoms so easily recognized that even Jonathan can diagnose himself as having a cold. Both children will feel miserable tonight and may wake up tomorrow in a bad mood because they haven’t slept well (the same can be said for their parents). The good news for Jonathan is that within 10-15 days, he will be recovered from his common cold. Greg will not. Recovery from the psychological equivalent of the common cold is more likely to take months, years or, in some cases, even decades. Nighttime fears, like the common cold, are pervasive among children. One study led by Peter Muris, professor of developmental psychopathology at Maastricht University in the Netherlands, suggests that in Western cultures, nighttime fears occur in many if not the majority of children ages 4-12. Similarly, Jocelynne Gordon of Monash University in Australia, along with other researchers, has pointed out that upward of 30 percent of children display severe fear — or phobia — and related sleep issues at nighttime. The common cold does not refer to a single virus. More than 200 viruses are associated with the common cold. Similarly, nighttime fears are diverse both in their causes and expression. Children may be afraid of the dark, of unfamiliar sounds, of bad dreams or of imagined burglars, monsters and ghosts. In fact, Virginia Tech’s Child Study Center, where one of this article’s authors, Thomas Ollendick, serves as director, has uncovered more than 30 stimuli for nighttime fears. The center estimates that nighttime fears affect more than 20 million children in the United States. Children who suffer from nighttime fears may demonstrate excessive worry, crying, temper tantrums and overt disobedience. The Virginia Tech Child Study Center has found that fear of falling asleep in the dark is the most commonly reported problem among children with nighttime fears. The responses of children who are dark-phobic are exaggerated much more than anything we would expect on the basis of any realistic dangers, such as stumbling over objects. One child told us she was afraid the dark would swirl around her and take her away like a tornado. Another child thought he might die if he fell asleep in the dark. Like the common cold, fear of the dark and other nighttime fears can cause a child to feel absolutely miserable. Although symptoms of the common cold are irritating and uncomfortable, a cold can introduce more serious complications such as ear infections, bronchitis and even pneumonia. Similarly, nighttime fears can lead to complications such as sleep disruption and behavior problems, which in turn may create further problems, including lack of sleep and even missed work for other family members. In such instances, bedtime often becomes a battleground between harried parents and fearful children. One study found that it takes an average of 21 minutes to get nonfearful children to sleep, compared with an average of 76 minutes for fearful children. Moreover, many of these fearful children wake up throughout the night even after they initially fall asleep. Frequently, they go to their parents’ bedroom for comfort and reassurance, resulting in a lack of sleep for both child and parents. Other “side effects” may occur with fear of the dark. For example, in an earlier study, William Mikulas, professor emeritus at the University of West Florida (UWF), and Mary Coffman, one of this article’s authors, found that 41 percent of children who had a phobia of the dark were also afraid of being alone. Some researchers have suggested that fear of the dark may be predictive of future risk for other anxiety disorders, loneliness and depression. At Virginia Tech, we have shown that about 80 percent of children who are afraid of the dark have other anxiety disorders such as generalized anxiety disorder and separation anxiety disorder. Typically, fear of the dark preceded development of these other disorders. Also like the common cold, fear of the dark appears to be “contagious” and to run in families. At UWF, we found that 53.6 percent of the children with fear of the dark had either a parent or a sibling who was also afraid of the dark. Children can also “catch” fear of the dark by watching frightening TV shows or movies through a process of learning by observing. For years, researchers considered fear of the dark to be a transitory condition and questioned its clinical significance because it is so common among children. Early on, however, Anthony Graziano and Kevin Mooney found that the average duration of darkness phobia in children was more than five years. In a recent clinical trial, Ollendick and his colleagues confirmed this duration and suggested that in the absence of effective treatments, it was likely to persist even longer. For some individuals, fear of the dark can continue into adulthood. Five years (or more) is hardly a transitory amount of time for a child. Would we expect a child to suffer the effects of a cold virus on a daily basis for five years without attempting some kind of intervention? The fact that fear of the dark is a common phobia does not make it any less uncomfortable or problematic for a child. Physiological symptoms often associated with nighttime fear include increased heart rate, elevated blood pressure, shakiness and tears, while psychological symptoms include feeling frightened and anxious and having very unpleasant thoughts and images. Parents spend millions of dollars each year on over-the-counter and prescription medications to assuage their children’s runny noses and sneezes. Unfortunately, many parents do not know where to turn when seeking treatment for their children’s nighttime fears, which are the mental health equivalent of the common cold. For most parents, the first course of treatment is a home remedy — the “chicken soup” approach. Some parents suggest using “monster spray,” a bottle of plain water that they tell their children will destroy monsters. Other parents employ nightly “reassurance routines,” which might include looking under the bed with the child or staying in the room until the child falls asleep. At Virginia Tech’s Child Study Center, we had one parent who provided his son a knife to attack the monsters should they appear, while another placed sidings on the bed to prevent a monster from getting under the bed. The “treatments” seem endless and speak to the ingenuity of well-meaning parents. Experts have developed a wide array of therapeutic techniques for nighttime fears, including components such as relaxation, self-control, parent training, positive reinforcement and graduated exposure. According to the Association for Behavioral and Cognitive Therapies (abct.org), exposure is the evidence-based treatment of choice for phobias. During exposure therapy, the child is exposed to his or her fear through repeated contact with the feared object or situation in a controlled, graduated and safe manner. Exposure and other treatment procedures have been provided through individual therapy, parent training, groups, the Internet, and even stories and books. Many parents turn to children’s books, or bibliotherapy, to help their child understand and overcome nighttime fears. Many of the stories are short, cute, enjoyable and, like the effects of chicken soup on the common cold, may actually have some beneficial effects. This is particularly true for those children with mild fears of the dark — the kind associated with transitional phases in the child’s life. It is unclear, however, whether these stories are helpful with children who are phobic. Uncle Lightfoot, Flip That Switch, written by Coffman and illustrated by D.C. Dusevitch, is a fictional book on fear of the dark for ages 5-8. During its development, the book was tested in a series of studies supervised by Mikulas at UWF. The book incorporates elements of cognitive behavioral interventions such as exposure games, cognitive restructuring and parent instructions in a humorous, playful way so that children can actually have fun overcoming their fear of the dark. In addition to studies conducted at UWF, an earlier version of Uncle Lightfoot was field-tested by Isabel Santucruz and colleagues at the University of Murcia in Spain and found to be effective in treating fear of the dark. During the development of Uncle Lightfoot, the children themselves taught us about the improvements that needed to be made. Six-year-old Emily was one of those teachers. Emily was afraid of the dark for three years before her family sought help. Emily may have “caught” her fear from her 9-year-old sister, Sarah, who was also afraid of the dark. Emily was so terrified that she was unwilling to stay alone in her dark room for even five seconds. After her parents read Uncle Lightfoot to her several times over a period of five weeks, Emily was frequently able to sleep in her bedroom all night with the lights off. Emily’s mother said she observed her daughter’s growing confidence while listening to the story and playing the games. Emily made comments such as, “I’m getting braver” or “I can do that. It’s easy!” Bravery, like fear, is contagious. Although at-home treatments may work for many families, professional help may be necessary in other situations. At the Child Study Center at Virginia Tech, we have been working on a form of intensive therapy called “one-session treatment,” a variant of cognitive behavior therapy, in studies funded by the National Institute of Mental Health. Following an in-depth interview with the parent and child, the clinician spends up to three hours in an extended session with the child. In this session, the child is asked to perform tasks that require greater and greater contact with the feared object or situation in a graduated and controlled manner. Weekly telephone follow-up sessions for one month help the child and the child’s parents to apply the techniques in their homes and communities. One-session treatment has been evaluated in several studies involving hundreds of children in the United States and Sweden, and as many as two-thirds of the children in those studies are no longer fearful of the nighttime. On average, the study participants had experienced a fear of the dark for longer than five years. Follow-up over a four-year period revealed that 85 percent were free of all symptoms; the remaining 15 percent were improved but still needed additional treatment. At Virginia Tech, we recently completed a small pilot program on a “stepped-care” approach that combines the best of home remedies and professional care. In the study, the phobic child’s family was initially provided an exposure-based fictional children’s book and consulted on how to implement the book. If this approach alone was not successful or only partially successful, therapists then provided more intensive services to the family using one-session treatment. Results from this study look very promising, with about half of the families responding to the children’s book alone and not requiring additional treatment. Parents and children have numerous options for treating the common cold. Similarly, parents and children need effective tools for treating nighttime fears. Whether through bibliotherapy, evidence-based interventions or a combined approach, a “cure” to the common cold of the mental health world may be right around the corner. Mary Coffman is a nationally certified counselor with licensure in South Carolina and Florida. Her career has included counseling, teaching parenting classes, administration, writing, adjunct college teaching and research. Contact her at maryfcoffman@yahoo.com. Thomas Ollendick is director of the Child Study Center at Virginia Tech and a university distinguished professor of clinical child psychology. He is the author or coauthor of more than 300 research publications, 75 book chapters and 25 books. Much of his research has centered on childhood anxiety and phobias. Frank Andrasik is distinguished professor and chair of the Department of Psychology at the University of Memphis. He currently serves as director of the university’s Center for Behavioral Medicine. The primary focus of his research has been in the area of stress and behavioral medicine.